The Outer Hebrides - or Long Island as they are also known - consist of a narrow 130-mile long chain of islands, lying 40 miles off the northwest coast of the Scottish mainland. Relentlessly battered by fierce Atlantic winds, the islands can seem a hostile environment and an unappealing proposition, particularly if you happen to be stuck there on a wet Sunday without your own means of transport. Much of the interior is bleak peat bog, rocks and endless tiny lochs, and the long, straggling crofting communities only add to the feeling of desolation. But there are also miles of superb beaches, wild mountain scenery, numerous archaeological treasures and long hours of summer daylight in which to appreciate it all. The Outer Hebrides is made up of more than 200 islands, only 10 of which are populated: Lewis and Harris; Scalpay; Berneray; North Uist; Benbecula; South Uist; Eriskay; Barra; and Vatersay; giving a total population of just under 30,000. The main population centre is Stornoway on Lewis, the only major town in the islands. The rest of the population is scattered throughout the islands in much smaller villages, mostly strung out along the coast. Lewis and Harris are actually one island, divided by history and a line of high hills that runs between them. The northern part of Lewis is mostly bleak, flat peat moor, while the south and Harris are more rugged, with rocky peaks and superb beaches. The more southerly islands of North Uist, Benbecula and South Uist, joined together by bridges and causeways, are mostly low and flat and peppered with so many lochs they resemble a giant sieve. Toll-free road bridges connect the island of Scalpay with Harris and Great Bernera with Lewis, and a causeway connects Berneray with North Uist. A new causeway connecting Eriskay to South Uist opened in August 2001. There are tourist information centres in Stornoway and Tarbert which are open all year round, and also in Lochmaddy, Lochboisdale and Castlebay which are open early Apr to mid Oct. Full details are given under each destination. The Western Isles Tourist Board produces an accommodation brochure as well as the essential Western Isles Official Tourist Map (Estate Publications; £3.95), which gives place names in English and Gaelic. They also have their own website Western island tourist Board which provides lots of information on the islands, including up and coming events. 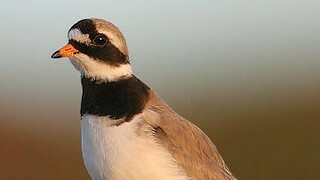 Information about the islands can also be obtained atThe hebrides and gatliff.ic24.net. The Outer Hebrides Handbook and Guide (£7.95) is written by local experts and is useful on history, culture, and flora and fauna. British Airways, Tel. 08457-733377, flies daily except Sun from Glasgow to Stornoway on Lewis (1 hr), Barra (1 hr 5 mins) and Benbecula on North Uist (1 hr). There are also flights from Edinburgh to Stornoway (1hr 10 mins), Inverness to Stornoway (40 mins) daily except Sun, and to Benbecula (2 hrs 40 mins) Mon-Fri. Note that weather conditions are so changeable that flights are prone to delay and can be very bumpy. Flights to Barra have an added complication in that they land on the beach, meaning that the runway disappears twice a day under the incoming tide. CalMac ferry from Ullapool to Stornoway (2 hrs 40 minutes) 2-3 times daily Mon-Sat in the summer (Jun-Sep) and twice daily Mon-Sat in the winter. One-way ticket costs £13 per passenger and £62 per car. CalMac offices: Ullapool (Tel. 01854-612358) and Stornoway (Tel. 01851-702361). To Harris from Uig (Skye) to Tarbert (1 hr 35 mins) twice daily Mon-Sat. One-way ticket £8.50 per passenger, £40 per car. Contact Uig (Tel. 01470-542219) or Tarbert (Tel. 01859-502444). To North Uist from Uig to Lochmaddy (1 hr 40 mins) 1-2 times daily. One-way ticket £8.50 per passenger, £40 per car. Contact Lochmaddy (Tel. 5000337). To Barra and South Uist from Oban to Castlebay (5 hrs) and Lochboisdale (6 hrs 40 mins) once daily except Tue and Sun. One-way ticket £18.75 per passenger, £67 per car. From Mallaig to Castlebay (3 hrs 45 mins) on Sun only, and to Lochboisdale (3 hrs 30 mins) on Tue only. One-way ticket £13.85 per passenger, £49.50 per car. From Castlebay to Lochboisdale (1 hr 50 mins) on Mon, Wed, Thu and Sat, and from Lochboisdale to Castlebay on Tue, Thu, Fri and Sun. One-way ticket £5.30 per passenger, £30.50 per car. a ferry sails to Otternish (North Uist) from Leverburgh (Harris) 3 or 4 times daily. The trip takes 1 hr 10 mins and a one-way ticket costs £4.75 per passenger, £21.90 per car. a much cheaper way to get around the islands with a car is with one of CalMac's Island Hopscotch tickets. There are various route options, and tickets give you 30 days unlimited travel on each route. For example, a ticket for the Oban- Castlebay- Lochboisdale- Otternish- Leverburgh- Stornoway- Ullapool route allows you to visit all the main islands and costs £38 per passenger and £164 per car. See the CalMac guide or call the numbers above for full details of the Island Hopscotch Tickets, and the Island Rover Ticket, which gives unlimited travel on most CalMac routes for 8 or 15 days. You should allow plenty of time to explore the islands fully. With your own transport and travelling from top to bottom, a week would be enough time for a whistle-stop tour but not enough to explore in any depth or scratch beneath the surface. You will need to allow for the lack of public transport on Sun on most islands, and for the fact that weather conditions frequently affect ferry and flight timetables. Passenger ferries run regularly between Ludag in South Uist to both Eoligarry in Barra and to the island of Eriskay,Tel. 01878-720238/265. Car ferries: There are CalMac ferries between Harris and North Uist, and South Uasdfist and Barra (see above for details). Bus services have improved and now run regularly to most main towns and villages on the islands. Details of local services are given under each destination. You should also invest in a copy of the Highlands & Islands Travel Guide which is available from the local Tourist Information Centres. 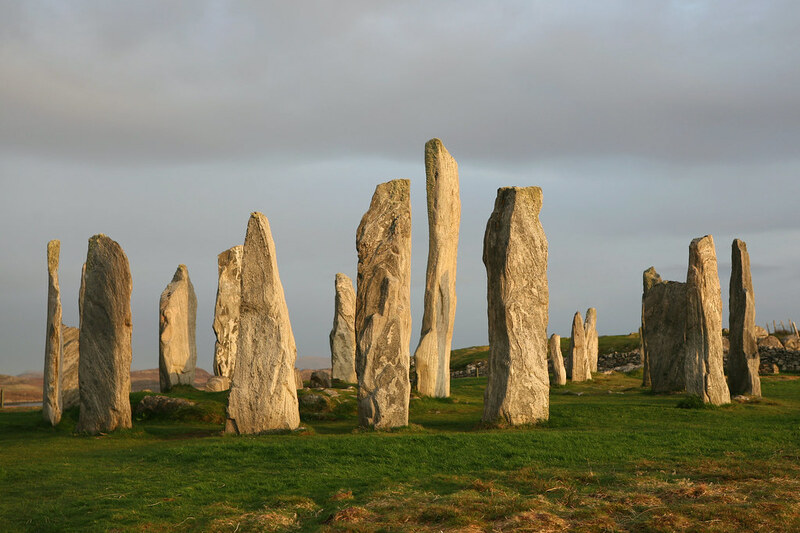 Hebridean Excursions offer a wide range of car tours around the Hebrides - their phone number is 01851 870 882. Most of the islands' roads are single track but in good condition and, unlike other parts of the Highlands and Islands, not too busy. On Sun you'll barely meet another soul, save for the occasional perplexed tourist looking in vain for somewhere to go. Drivers should note that petrol stations are few and far between, expensive and closed on Sun. The normal rules for single track roads apply and, as elsewhere in the Highlands, you need to look out for wandering sheep. Also note that distances are greater than most people imagine. For example, the distance from Nis (Ness) at the northern tip of Lewis to Leverburgh in the south of Harris is 85 miles. From Stornoway to Tarbert is 37 miles. And the distance from Otternish in the north of North Uist to Lochboisdale, the main ferry port on South Uist, is 50 miles. Several local car hire agencies offer reasonable rental deals. Expect to pay around £15-25 per day, depending on the size of engine and age of the car. Cycling is a great way to explore the islands. You can fully appreciate the amazing scenery around you without the risk of driving over the edge of a cliff, and it only costs a few pounds to transport a bike by ferry. There is, of course, the major problem of strong winds, which can leave you frustrated and exhausted, especially when cycling into the prevailing easterly wind. Bike hire agencies are given under the relevant town. As the heartland of Gaelic culture, the Outer Hebrides are host to many music events throughout the year, ranging from a spontaneous ceilidh to one of the three local mods. Mods usually consist of three days of competition in piping, singing, instrumental music, drama and poetry, and are an opportunity to see the best of the local talent. More information can be obtained from An Comunn Gaidhealach, Tel. 01851-703487. Also listed below are the various Highland Games and agricultural shows, where you can also see piping competitions and Highland dancing. 1st Friday in April: Donald Macleod Memorial Piping Competition, Stornoway, Lewis. May-June: Highland Festival, held in various locations. Early June: Harris Mod, Tarbert, Harris. 2nd week in June: Lewis Mod, Stornoway, Lewis. Mid June: Uist Mod, Iochdar, South Uist. May-June: Lochmaddy Boat Festival, Lochmaddy, North Uist. Mid July: Berneray Week, Bearnaraigh (Berneray), North Uist. July: Ceolas Music School, South Uist. Early July (2 weeks): Barra Festival. Early/mid July (1 week): Feis Tir an Eorna, Paibeil, North Uist; *Barra Highland Games, Borgh (Borve), Barra. 11-14 July: Hebridean Celtic Music Festival, Stornoway, Lewis. Mid July: North Uist Highland Games, Hosta, North Uist. Mid/late July: Harris Gala; South Uist Highland Games, Aisgeirnis (Askernish), South Uist; Lewis Highland Games, Tong, Lewis. Mid July: Barra Highland Games. Late July: Barra Live, Barra; West Side Agricultural Show, Barabhas (Barvas), Lewis; South Uist Agricultural Show, Iochdar, South Uist; *South Harris Agricultural Show, Leverburgh, Harris. July: Feis Eilean an Fhraoich, Stornoway, Lewis. Late July/early August: North Uist Agricultural Show, Hosta, North Uist. Early August: Carloway Agricultural Show, Càrlabhagh (Carloway), Lewis; Fies Tir a Mhurain, Lionacleit, Benbecula; Lewis Carnival, Stornoway; Fish Festival, Stornoway; Twin Peaks Hill Race, North Uist. 2nd week August: Harris Arts Festival, Tarbert. 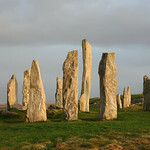 o Visit the standing stones at Callanais, preferably at night when there's a spooky atmosphere. 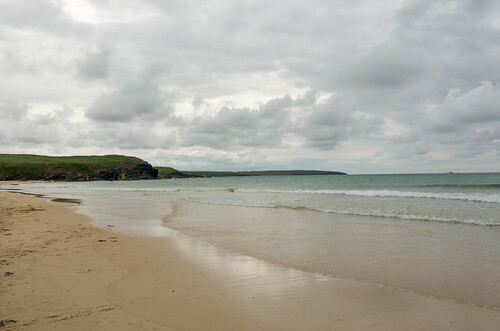 o Take a stroll along the wonderful Uig sands, the loveliest beach on Lewis. o Hire a car and drive along the amazing Golden Road, on the east coast of Harris. o Fly to the island of Barra, where the planes land on the beach. o Take a trip to St Kilda, home to some of the largest seabird colonies in Europe. The islands are the 'Gaidhealtachd', the land of the Gael. 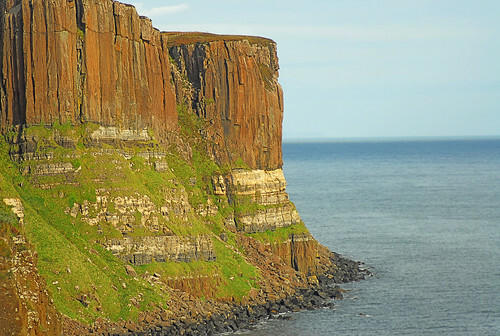 Gaelic culture has remained more prominent here than in any other part of Scotland, and the way of life and philosophy of the islanders will seem totally alien and fascinating to many visitors. Gaelic is the first language for the majority of the islanders - and the only one for the older generation - but the all-pervading influence of the English media has taken its toll and the language is under threat. Though Gaelic is still taught in schools, the younger generation tends to speak to each other in English. Visitors will not have any language problems, as the Gaelic-speaking inhabitants are so polite they will always change to English when visitors are present, though place names and signposts are in Gaelic. The church is also an important factor in preserving the language, and services are usually held in Gaelic. In fact, religion is one of the most pervasive influences of Hebridean life, and the islanders' faith is as strong as the winds that pound their shores. The islands are split between the Presbyterian Lewis, Harris and North Uist, and the predominantly Roman Catholic South Uist and Barra. Benbecula, meanwhile, has a foot in either camp. On Lewis and Harris the Free Church is immensely powerful and the Sabbath is strictly observed. Don't expect to travel anywhere by public transport, shops and petrol stations will be closed and you'll be hard pressed to find a place to eat. Even the swings in the playgrounds are padlocked! On the Roman Catholic islands, however, things are a bit more relaxed. The Gatliff Hebridean Hostels Trust (GHHT) is a non-profit making charitable organisation run entirely by volunteers, working with the island community to establish, maintain and develop a chain of 'value-for-money' hostels offering clean, cheap, simple, safe, welcoming and traditional croft-style accommodation in dramatic and beautiful locations for visitors to the Outer Hebrides. The GHHT is independent of the SYHA but has adopted status. Visitors do not have to be members of either organisation to use and stay in the hostels. First established as the Gatliff Trust in 1961 by Herbert Gatliff, the Trust was originally intended to provide young persons of limited means with the opportunity to meet local people and enjoy the unique natural environment and cultural heritage of the islands. However, in recent years visitors of all incomes, ages, nationalities and interests have been encouraged to use the facilities. The Trust is currently involved in the operation of four hostels situated at Garenin (Isle of Lewis), Rhenigidale (Isle of Harris), Berneray (Isle of North Uist) and Howmore (South Uist). Further hostels may be opened on other islands in the future. The word 'croft' is derived from the Gaelic croit, meaning a small area of land, and crofting has been the traditional way of life in the Scottish Highlands for many centuries. Its emotive hold on the psyche of the Highlander comes from the long, hard struggle for security of tenure. 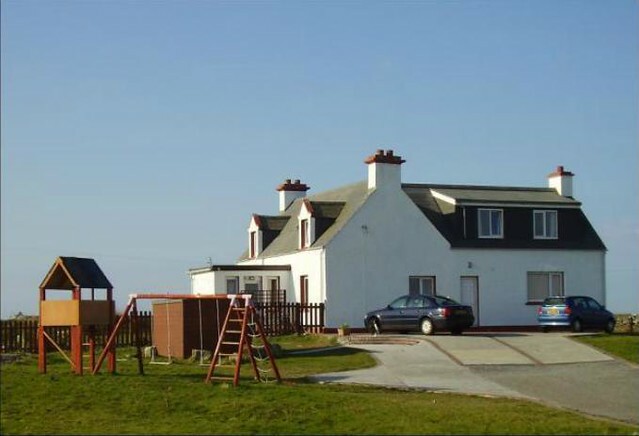 A croft is aptly described as a parcel of land entirely surrounded by regulations. Most crofts consist of a few acres of arable land with a proportion of grazing land shared with other crofts. Each crofter is, in effect, a kind of small tenant-farmer, the distinction being that he has almost absolute security of tenure and has the right to assign the croft to a member of his family whether the landlord agrees or not. In fact, over the years the crofter has managed to acquire most of the rights of ownership with few of the disadvantages. The croft is the area of land involved and not the house which is called the 'croft house'. Crofts can vary in size, from a quarter of an acre upwards. Those on Lewis are small and relatively unproductive, with an average size of only about five acres, while on the Uists, where the land is more fertile, crofts are up to 50 acres or more. As well as having the sole tenancy of the croft, the crofter usually also has a share in a huge area of 'common grazing' along with the other members of the crofting community - commonly called a township. They also work together in such activities as fencing, sheep dipping or cutting peat. In reality, crofting does not provide a viable means of living. Very few crofters rely solely on their smallholding for an income and most need to have several occupations (including running a Bed & Breakfast establishment) to make ends meet. But without the family croft whole communities would just pack up and leave, so crofting functions as a means of preventing the depopulation of remote rural areas. The crofter's lot may change for the better, however, thanks to the Scottish Parliament's new Land Reform Bill which includes a special right to buy for crofting communities. Few visitors to Harris will not have heard of its most famous export, Harris Tweed. But how did it emerge from its humble origins to become a product synonymous with high-quality craftsmanship and a de rigeur item of clothing for any self-respecting aristocrat? Traditionally the tweed was made by fishermen's wives to clothe their own families using wool from their own sheep. They carried out the whole process themselves by hand. First the wool was washed, then dyed using native plants and bushes, tree bark and lichen, then carded, spun, warped, woven and finally waulked, or made soft, by beating it on a table. Many women could produce more than they needed and the surplus was available for sale or barter. The cloth was made throughout the Outer Hebrides and originally was not known as Harris Tweed, but simply as clo mòr (or big cloth). All that changed in 1842 when the Countess of Dunmore, who owned a large part of Harris, took great interest and introduced many of her aristocratic friends to Harris Tweed. Very soon, much of the surplus tweed was being sold and becoming quite a fashion statement in high places. By the beginning of the 20th century demand was exceeding supply, stimulated by Royal patronage, and faster and more efficient ways of carrying out the ancillary processes were being developed by some of the larger producers. This led, in 1909, to the setting up of the Harris Tweed Association Ltd, to ensure quality control and to protect the interests of the independent crofter/ weavers. So Harris Tweed came officially into being, with its famous Orb trademark, originating from the Coat of Arms of the Countess of Dunmore. To earn this official stamp of authenticity Harris Tweed must be made from pure Scottish wool, dyed, spun and finished in the Outer Hebrides, and hand woven by the islanders in their own homes. There are now about 750 independent weavers and about 400 millworkers employed in the islands, and each weaver can produce three webs of tweed a week (a web measures 80-90 yds in length). In total the industry produces around 5,000,000 yds of tweed annually, depending on demand. The main production centre is now Lewis, but all over the island you can see the woven tweed lying at the gates of crofts waiting to be collected and sent all over the world. Like Newbury Bypass in England, the proposed Lingarabay superquarry represents a cause célèbre in the classic debate between the clashing interests of environment and development. Redland Aggregates originally proposed to develop the east face of Roineabhal (460 m) as a huge quarry providing a vast source of aggregate material for the construction industry in an economically impoverished part of Scotland perceived to be far removed from the mass tourism market. However, the proposal provoked a local, national and international outcry as environmental groups objected to the likely visual, landscape and ecological impacts in a unique and essentially unspoilt mountain environment designated a National Scenic Area and representative of some of the oldest rock in the world. A Public Enquiry followed in 1994-95 at which Redland presented the case for long-term local employment and the preference of one large quarry in a remote area rather than many smaller projects on the highly populated mainland. Objectors set out the concerns for the damage to a resource of national importance and the precedent it would set for environmental protection both within and outwith the industry in the future if planning legislation were to be overcome. Following a lengthy follow up the Secretary of State rejected the proposal in 2000. Redland Aggregates who have now been taken over by French company, Lafarge, are now appealing against the decision. 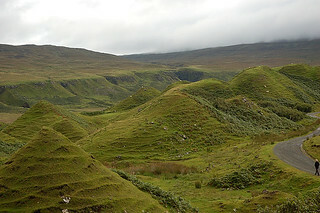 In the latest twist in the saga Scottish Natural Heritage and other action groups are now believed to be lobbying the UK government and European Parliament to reinforce the environmental value of the site by designation as a Special Area for Conservation under the EC Habitats Directive, thereby making it illegal to develop the site for industrial purposes. In a case where each side attempts to out-manoeuvre the other the outcome is still far from clear and the saga continues. Travelling in the Outer Hebrides can be a very different experience from visiting other parts of Scotland. The pace of life is very different here and the needs of tourists have to come second to the ways of local people. Take the example of a passenger flight from Glasgow to Benbecula, which was delayed for 30 minutes when the plane had to circle because the air traffic controller was out to lunch! In the 1820s a dead body was washed up in Culla Bay, near Griminish on Benbecula. It was said to have had the upper body of a well-developed four-year-old child, with long, dark glossy hair, and the lower half was like a salmon, but without scales. Many people came from all around to look at the bizarre creature, before the landlord of the estate ordered a coffin and shroud and it was given a decent burial on the shore of Culla Bay. What exactly this creature was has remained a mystery to this day. Between Eriskay and South Uist is the wreck of the famous SS Politician, the island's other claim to fame. In 1941 the 12,000 ton ship went aground just off the island of Calvey and sank with its cargo, which included 20,000 cases of whisky. This not only provided many islanders with a supply of whisky for many years, but also provided the plot for Compton Mackenzie's book Whisky Galore!, which was later made into the famous Ealing comedy of the same name (it was called Tight Little Island in the US) and filmed on Barra. Part of the wreck can be seen at low tide, and there's more information on the famous incident on display in the appropriately named Am Politician pub (open 1230-1430), in the main settlement of Baile (Balla). 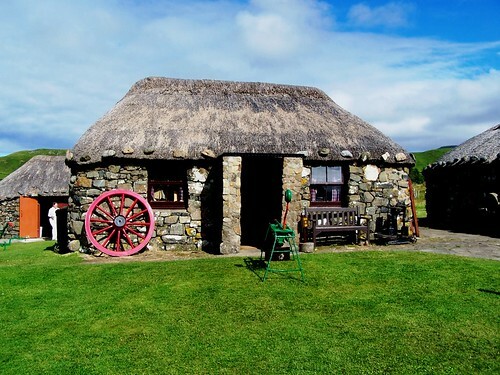 Accommodation on the Hebridean islands is generally not difficult to find, except perhaps at the height of the summer when you should book in advance, either directly or through the local tourist office. There are plenty of B&Bs and guesthouses scattered throughout the islands, many of which offer better value than the hotels. Most don't have private bathrooms, but they're comfortable, very welcoming and will offer evening meals. It's a good idea to book ahead if you're staying on a Sun. If you're staying in the countryside, you should check if there's a convenient pub or hotel to eat in, and if not, make arrangements to eat at your B&B. 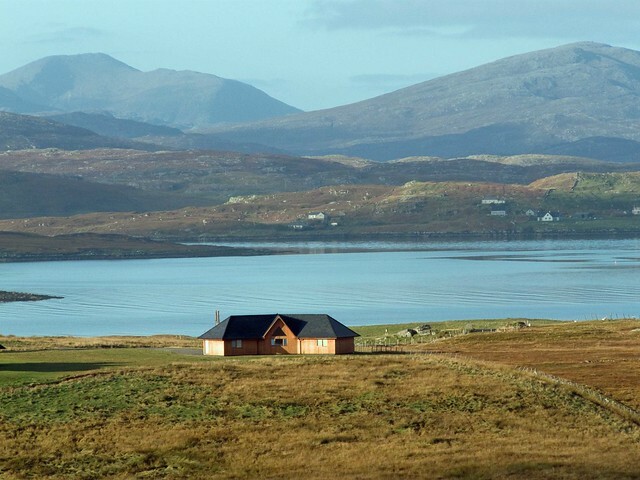 There are numerous self-catering style cottages across the islands, many of which are advertised in the Western Isles brochure published annually by the Western Isles Tourist Board. 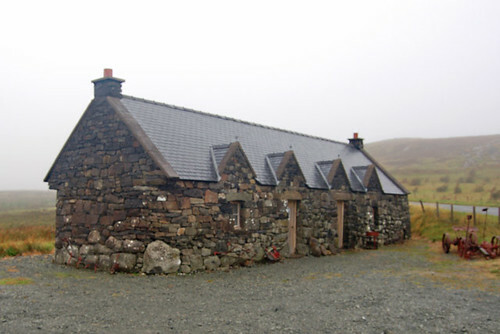 There are also several official youth hostels in converted crofts scattered around the islands in isolated locations. Some are difficult to get to without your own transport, but you can always hitchhike. They are run by the SYHA or the Gatliff Hebridean Hostels Trust. They are basic and adequate, but take a sleeping bag and food. Most of them don't have phones, so you can't book in advance, and try not to arrive or leave on a Sun. The Gatliff Trust has 4 hostels on the islands. Contact them at 71-77 Cromwell Street, Stornoway, or visit their website: www.gatliff. ic24.net There are also several new independent private hostels, which are clean and modern, and more expensive. Balranald has won awards as one of the best places for seeing wildlife in the UK. 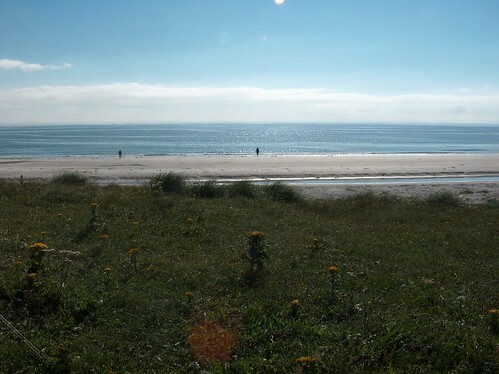 It is also located beside a beautiful Hebridean beach. If you get as far as the Uists and the weather is fine then get to the south western coast to enjoy the long, usually empty sandy beached. Awesome sunsets! 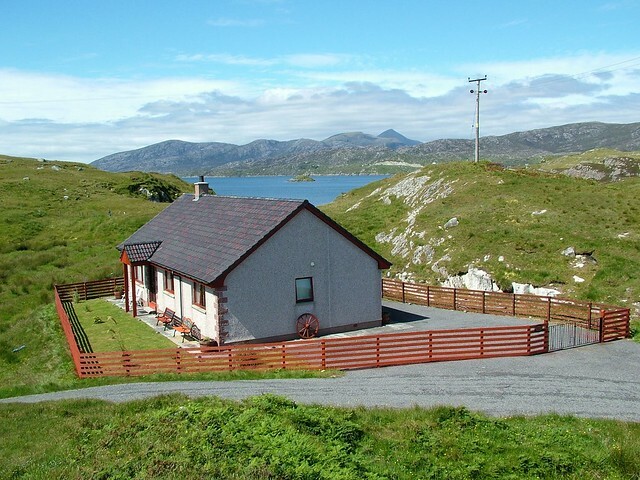 Hamarsay House is newly built self catering cottage located on the lovely Island of Scalpay (Harris). Sleeps 6 in 3 bedrooms. This is a traditional croft house near the northernmost point of the Outer Hebrides, only a few minutes from the Atlantic.